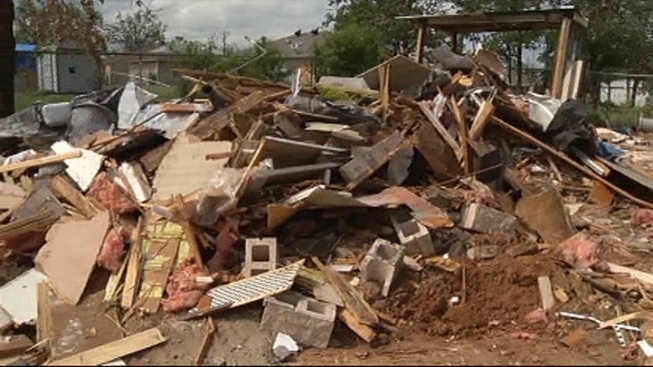 Cleanup continues in Granbury two weeks after deadly and destructive tornadoes ripped through North Texas. 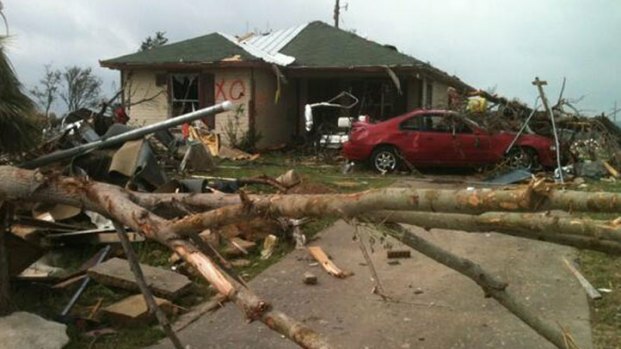 It was determined Wednesday that 18 twisters hit the area -- two more than previously thought and one more than the 17 twisters in the April 2012 tornado outbreak. 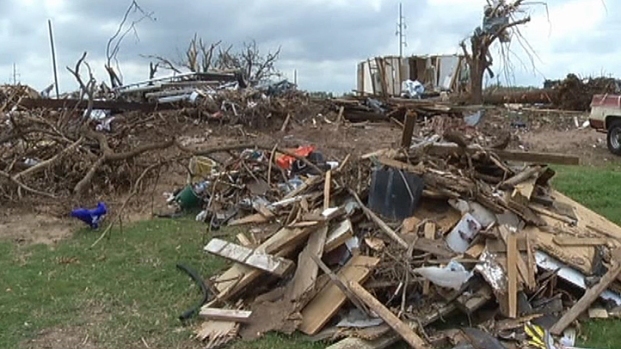 The Rancho Brazos neighborhood in Granbury was the hardest-hit area. If you take one look at the disaster zone, you can still see twisted metal, debarked trees and what's left of people's homes. Salvador Castillo's home was one of the nearly 100 in Rancho Brazos that were damaged or destroyed. After assessing the damage Wednesday, he decided to tear his house down. Residents in Granbury are working to rebuild their community after tornadoes ripped through the community a few weeks ago. "It had holes all over the place, no windows at all," he said. "Even the door caved in, so that's why we decided to take it down." A volunteer with a backhoe helped Castillo tear what was left of the house down throughout the day. He and other homeowners will not have the benefit of low-interest home repair loans from the Federal Emergency Management Agency. Despite the massive damage toll, it did not rise to $34 million, the level required to trigger a federal response. "It's about helping yourself, and that's what we're going to have to do here," Hood County Commissioner Steve Berry said. The county has applied for a grant from the state that would help repair or replace damaged signage for businesses and streets, Berry said. The money could also be of assistance for homeowners, he said. Residents and officials say things are improving. "Oh, yes, they're making a lot of progress," Alicia McFarland said. She and her family were lucky. Their home sustained damage but is still standing. "A two-by-four came in and went back out; we watched it come in and come out," McFarland said. "We could have been a lot worse off. Another 10 foot this way, and we probably would have been hurt or not here at all." But with no utilities and uncertainty over the home's stability, McFarland, her husband, two children and mother have spent the last 14 days in a hotel. "Two hotel rooms -- half of us in one; the other half is in the other," McFarland said. Hood County Commissioner Jeff Tout said electricity to the area should be restored by the end of next week. The area's water system should be back in three to five weeks, as a new water tank was just installed on Wednesday. That's about the time Tout thinks the cleanup could be finished. The cleanup has left residents exhausted. "It's tiring and kind of upsets us a little bit," McFarland said. She and her family can only wait and try to figure out what to do next. "All we can do is take one day at a time and thank God for our lives," McFarland said. The emergency declaration for the area ends at 8 a.m. Monday. With that declaration, officials could remove debris from private property, but have elected not to do that just yet. Local officials and residents said they are appreciative of all the volunteers and support they've received and continue to get in the wake of the tornado.